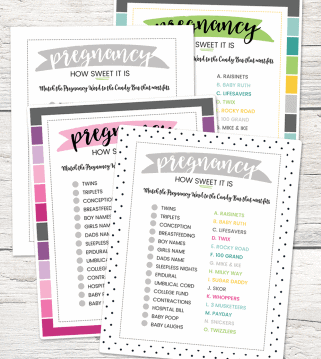 FREE Printable Baby Shower Games in 3 different colors schemes. Download these five free games in varying colors to add some fun to your next baby shower. Hi there! 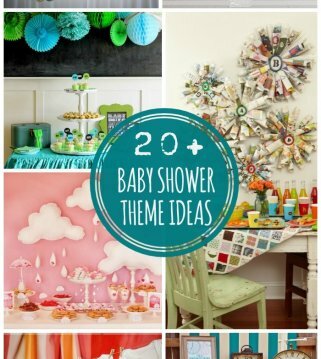 Kendra here today I am sharing a big pack of fun Baby Shower Games with you! 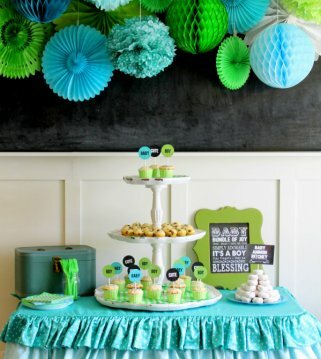 You can use these next time you throw a baby shower whether it’s for a boy or girl because there are 3 color options! All you need to do is download the files (they are free!!! Yahoo!) and print them out. 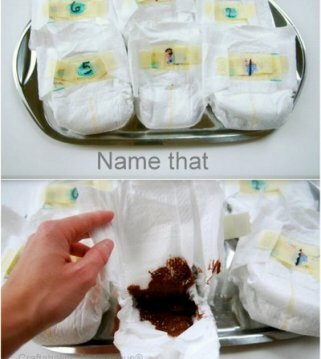 Then you’ll be all set for some super fun Baby Shower Games! There are 5 different Baby Shower Games included in each color set. See, the games are so much fun! My personal favorite is the Baby Animal Game! I seriously had no idea what some of the baby animals were called! 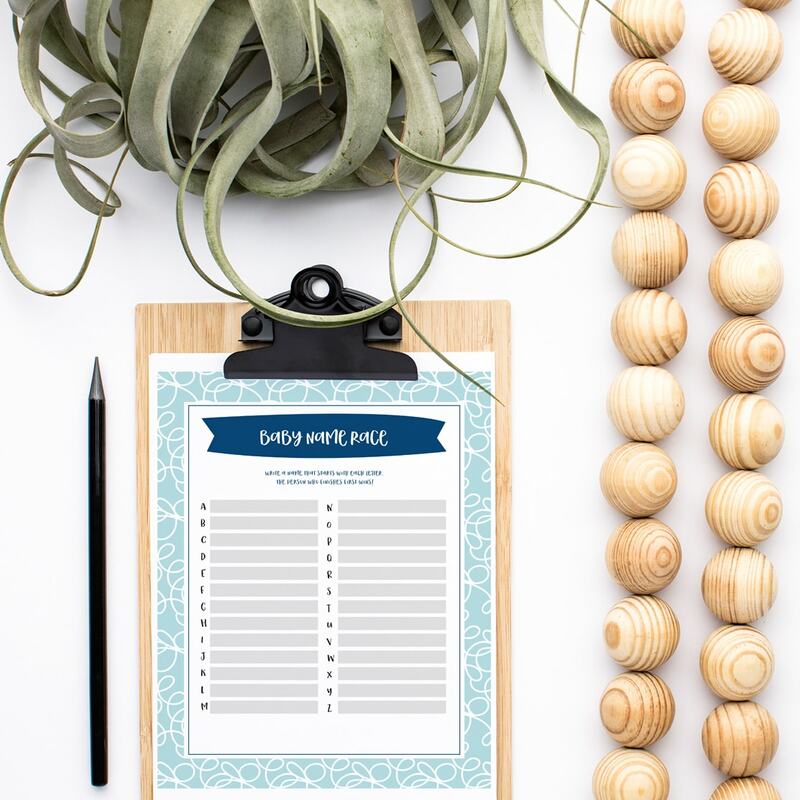 I hope you guys enjoy these printable – And most importantly they help make your life easier! Go ahead and download them at the end of the post. I think we can all agree that it’s fun to play games when attending baby showers. 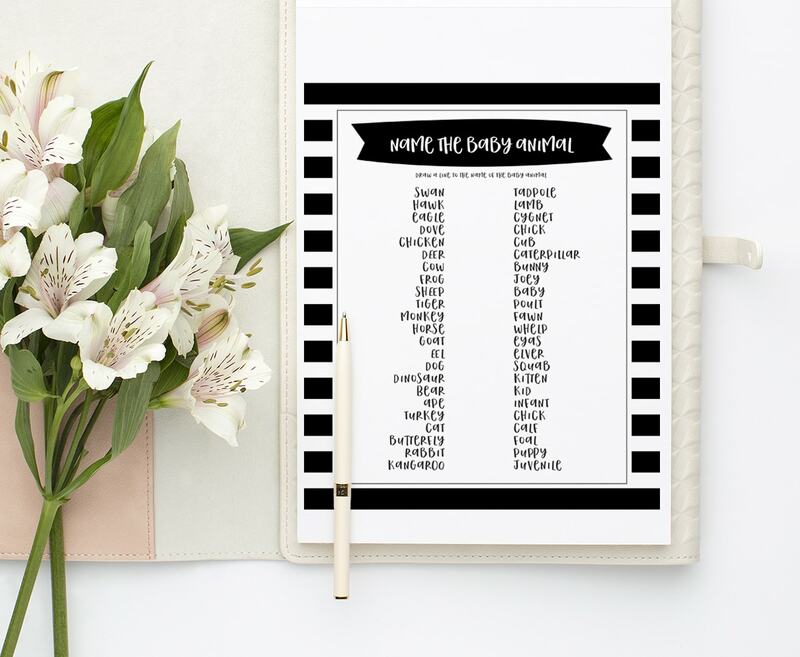 And with that in mind, we wanted to put together these free printables for you to use at them. Best of all – these games are EASY! 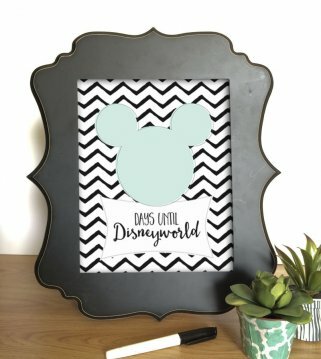 Just pick the color of prints you want from black, pink or blue, download and print! Easy peasy! Don’t Say Baby Game – This icebreaker game is simple and fun! As guests arrive, give each of them a diaper pin to clip on their shirts. Once everyone has arrived, tell them they can’t say baby. If someone catches them saying “baby” they get to take their diaper pin. The person with the most pins at the end of the shower wins. 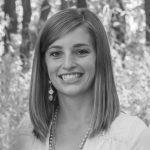 Baby Items in the Bag – Put between 10-15 baby items in a diaper bag. Pass the bag around and give each person 1 minute to identify and jot down as many of the items as they can. 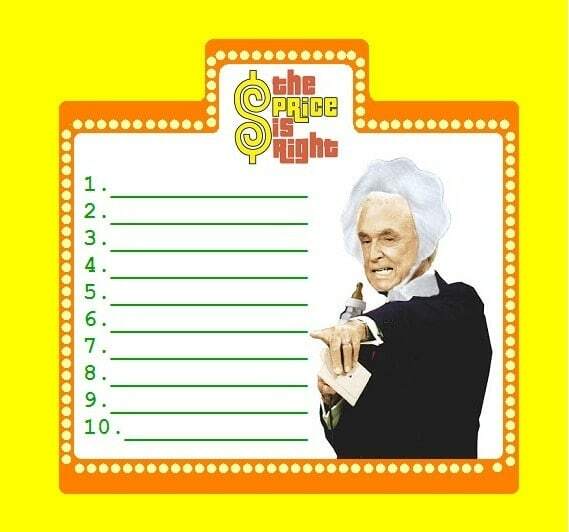 The person with the most items guessed correctly wins. Guess the Baby Food – Pick out 5-10 jars of baby food and take off the labels. Have guests blind test the baby foods and guess what each one is. Drink up, Baby! – Give each guest a baby bottle filled with your drink of choice (apple juice, lemonade, Root Beer). Have each of them chug the bottle, and the first one done – wins! Birthing Babies – Freeze a bunch of mini babies in ice cube trays (1 baby per cube). Put these in the guests’ drinks and the first one whose baby comes out of the water wins! 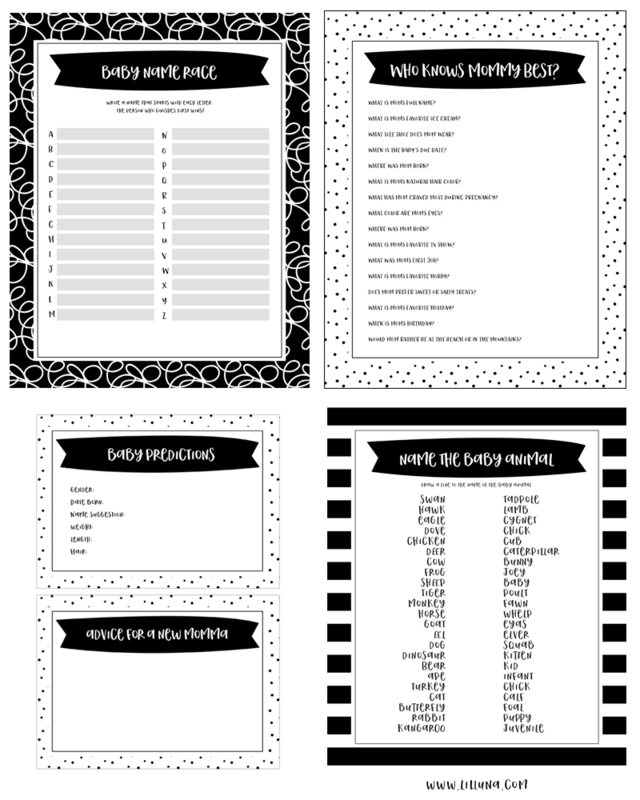 We hope you enjoy all these free printable shower games! 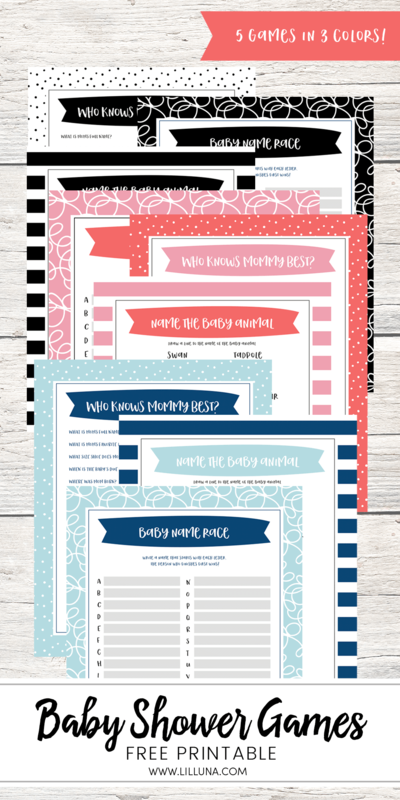 To download your free baby shower games, just fill in the form below.